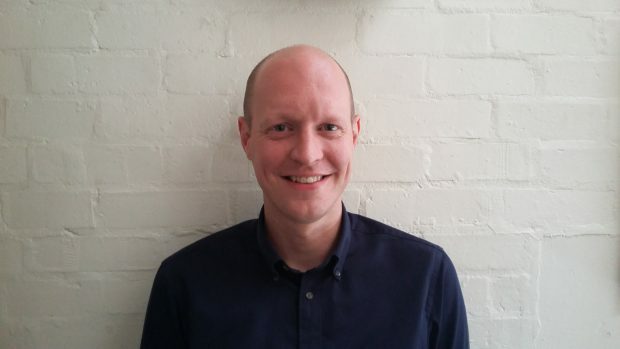 Speaking recently, Christophe Deloire, secretary general of Reporters Without Borders, stated that: “None of the main issues which humanity is facing will be resolved without access to information”. With 2017 the second worst year on record for tropical tree cover loss, now is a good time to reflect on these words and consider how greater transparency in commodity production can help tackle the critical challenges of deforestation and forest degradation. As the momentum behind responsible investment and purchasing continues to grow, investors, analysts, buyers and other supply chain stakeholders increasingly require information to inform their policies and procedures for due diligence, company engagement, screening and sourcing. Yet too few companies are providing comprehensive public disclosures of their policies, operations and commitments. 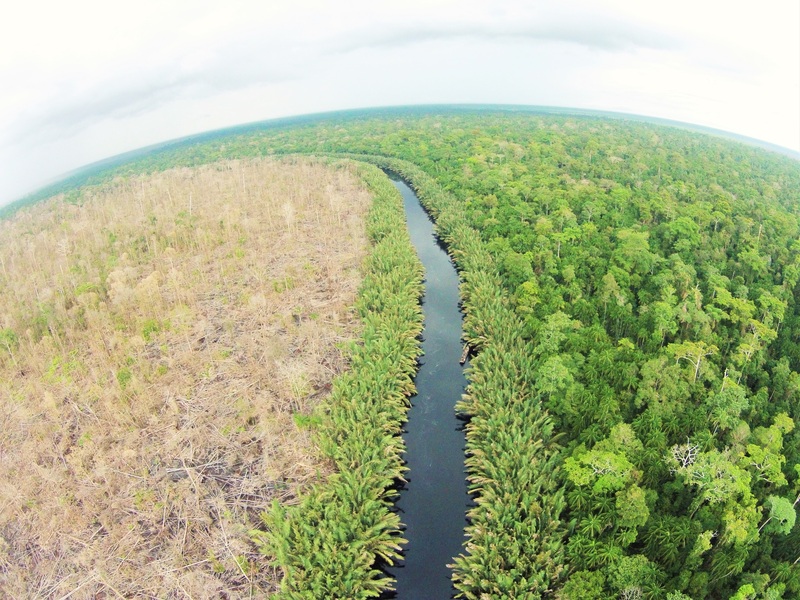 SPOTT’s 2018 assessments of timber and pulp producers operating in the tropics found that on average, companies scored just 31% against over 100 indicators linked to environmental, social and governance (ESG) issues. It starts and ends with transparency: without clear information on ESG issues, those wishing to finance more sustainable forms of production can find their efforts to deliver change hampered. At the same time, companies that are progressing towards greater sustainability may also fail to disclose and showcase their efforts – a common issue highlighted on this blog by Deborah Lapidus of Mighty Earth. More broadly a lack of transparency cultivates a lack of trust that can negatively impact business. For example, one driver of falling consumption of tropical timber in European markets is increased consumer awarenessof the impacts of unsustainable production on forests and communities. Civil society, citizens, and journalists need the opportunity to examine the commitments and actions of companies and hold them to account, so building trust in systems of production that often feature imbalances of power and information. A basic form of disclosure on the part of commodity producers is the precise location of their operations. 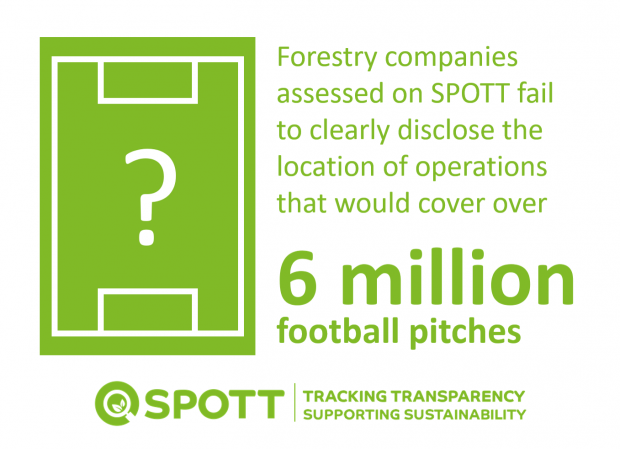 In our latest SPOTT assessments we found that only eight of 50 assessed companies published clear and comprehensive maps of their forestry operations, while 27 companies disclosed incomplete information. A further 15 companies failed to provide any suitable maps of their operations, meaning the location of over 45,000 square kilometres – or over six million football pitches – of forestry operations remains unclear. How then can third parties fully assess the impacts of the sector on tropical forests and communities? And how can we make full use of increasingly advanced forest monitoring technologies without knowing where to look? 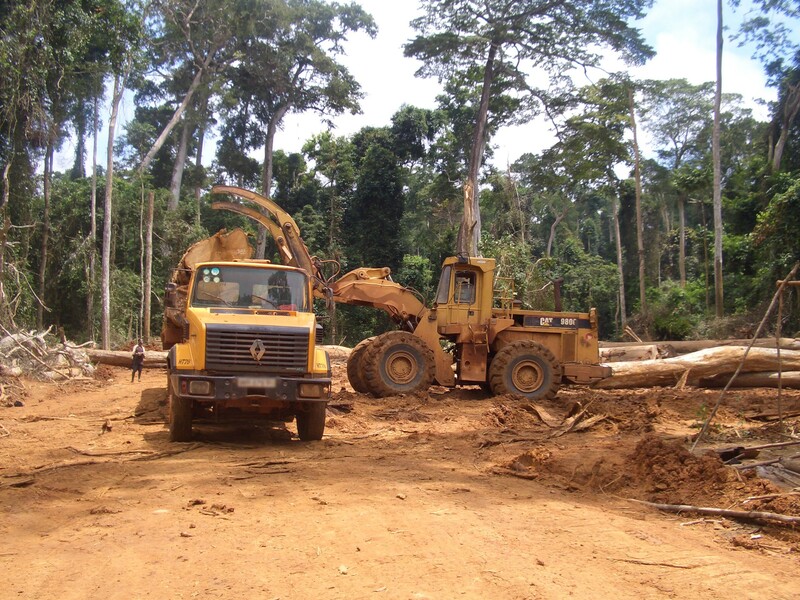 Restricted information on forestry operations already presents a barrier to the development of innovative landscape approaches – a crucial step towards more sustainable commodity production. Work by WWF and IKEA in Russia’s taiga forests demonstrates how the availability of high quality spatial data can support improvements in landscape-scale planning and more sustainable sourcing. It is therefore crucial that companies in the tropical forestry sector now move to publish digitised maps that allow the locations and boundaries of their operations to be identified. Certification schemes such as the FSC and PEFC should also encourage the publication of certified companies’ mapped boundaries. At the 2017 FSC General Assembly there was disappointment that the public release of such data was not made a requirement, as is the case with RSPO. Emerging national-level initiatives, such as FSC New Zealand’s Forest Management Map, show such transparency is not only desirable, but deliverable as well. The need for greater industry transparency is well understood in responsible investment circles. 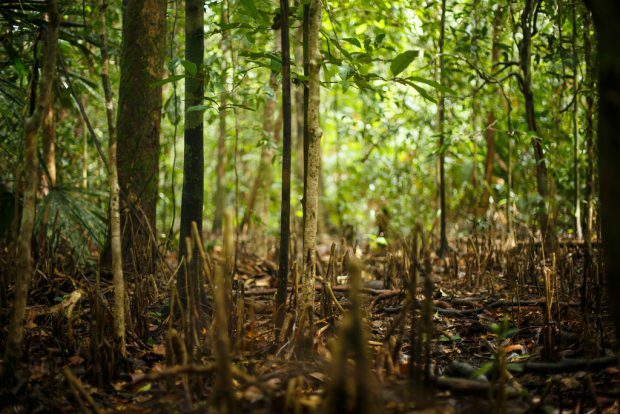 Companies and their certification schemes in the tropical forestry sector can now help to close the loop by increasing the quality and comprehensiveness of their disclosures.